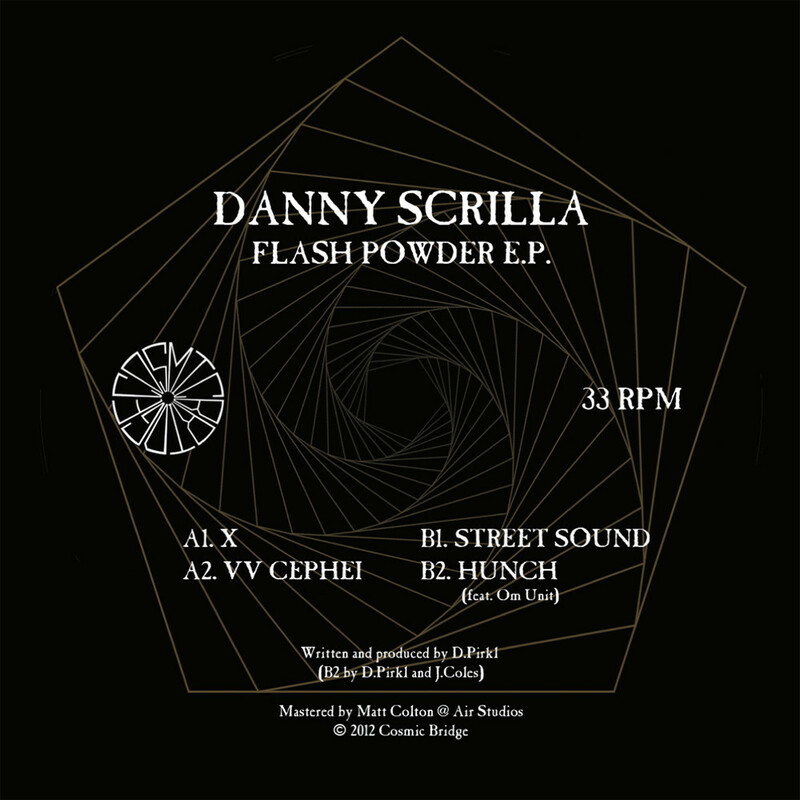 Following a series of perfectly on point releases, Munich's Danny Scrilla had his work cut out for him with his newest release on Cosmic Bridge Records. Luckily he bullseyed the mark with the Flash Powder EP, an infinitely solid label debut. With a medley of styles and influences ranging from dubstep to reggae to hip-hop, it wastes no time getting down to business, so let's do the same with the preview. "X" immediately hits the spot with a pummeling low-end and a creeping riddim that never falters; the second drop is somehow even tougher. "VV Cephei" also displays what a good fit for Cosmic Bridge this EP is, with lush purplish chords that melt away into astral pads. A couple of tracks could probably pass for Kromestar x Om Unit collabs (and this is no small feat) yet they all have their own distinct/unique flavor. It's only natural then that label boss Om Unit lends his expansive talents on "Hunch." The synergy makes for a really otherworldly build and some truly funky squelches that drive the track. Summing this release up in a few words or genres is too tricky, but you can't miss the dub science on "Street Sound." The gritty purple crunch pops up again as well, a welcome mini-renaissance for Joker fans. Overall there's a wealth of depth and detail to the sound, though the EP seems perfect for club play as well – a difficult but appreciated balance. This is the modus operandi for this label, so if you don't know by now hitch your wagon to Cosmic Bridge immediately. And speaking of Joker fans, here's a primo refix of "Purple City" in case you missed the Soundcloud download.